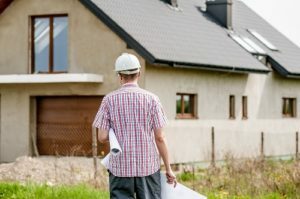 It’s not just your dream home that you should be focusing on building, you should also be building a working relationship with your custom home builder. Like any relationships, if you start it out right, everything else would follow. Building a good relationship from the start would let you easily communicate whatever it is that you need to relay to your builder. Always make communicating with your builder a habit. Whether it’s in person, over the phone, or through e-mail, communication is always key to any great project. Make sure that you have open lines of communication in case you need to make some changes to the project. Keep in mind, you won’t get anything done if you don’t communicate well with your builder. What you do need to do is relay all the information that you need to deliver in whatever form you deem necessary. Home builders understand that homeowners have this urge to keep a close eye on every stage of the project. However, most people won’t work effectively if there’s someone constantly breathing down their neck. Just let them do their job and do periodic checks on your custom home. If there’s a problem or something you want to point out, do it in an orderly manner. Going around asking questions as they work and being by their side all the time would only slow down the process. It won’t do any help and it won’t speed up the process either. Your builder will have a list of the custom homes that they’ve worked on before and you might want to get in on it. Ask the previous customers of your builder for feedbacks. Check if whether your builder was as good of a communicator as you would like. Nothing goes pretty smoothly, especially with constructing a custom home. This is why it is necessary to ask for references and feedback from previous customers. This would let you in on how the builder communicates with customers if problems arise after the build. Your feedback is important for your builder. If they’ve done a good job, do your fair share and put in a good word. You could also inspire the builder to do an excellent job by commending them for a job well done. Verbal praise goes a long way regardless of what kind of job your builder is doing. Looking for a reputable home builder in Myrtle Beach? Call Dawol Homes today!